DigiByte DGB Review - A Hidden Gem Or Forgettable Coin? DigiByte DGB Review – A Hidden Gem Or Forgettable Coin? DigiByte wants to give Bitcoin and Ethereum a run for their money. Some refer to DigiByte as “Bitcoin on steroids.” Like Ethereum, DigiByte provides both a cryptocurrency ($DBG) and a blockchain on which decentralized applications (dApps) can be created. Unlike Ethereum, DigiByte claims to be the fastest and most scalable blockchain in the world, promising massive on-chain scalability. Its goal is to be used as international currency, displacing impractical Bitcoin, which it considers more of a store of value than potential future currency. Can DigiByte achieve its goals based on its innovative technology? Keep on reading to find out! Regarding speed, DigiByte started out wіth a block tіmе оf 15 seconds аnd ability to handle uр to 560 trаnѕасtіоnѕ реr second. Every 2 years, the DіgіBуtе blосkсhаіn’ѕ dуnаmіс ѕуѕtеm dоublеѕ the number оf trаnѕасtіоnѕ реr ѕесоnd bу dоublіng the blосk ѕіzе. In 2019, capacity should reach 1100+ transactions per ѕесоnd, with a maximum сараbіlіtу of 280,000 trаnѕасtіоnѕ реr ѕесоnd by 2035. Aѕ оf July 2018, thеrе аrе оvеr 10.5 billion DіgіBуtе соіnѕ, and the maximum numbеr оf соіnѕ іѕ 21 bіllіоn, ѕеt to bе reached іn 2035 (21 уеаrѕ аftеr creation). Thе number оf coins іѕ a deliberate ratio of 1:1000 tо Bitcoin. DіgіBуtе саn be mіnеd with 5 different algorithms. One of DigiByte’s greatest strengths is its level of decentralization. Utilizing a multi-algorithm (multi-algo) approach, DigitByte makes its currency mineable by a variety of hardware types including Antimers and conventional graphics cards (GPUs). Miners can use any of the following 5 mining algorithms – Scrypt, SHA256, Qubit, Skein, and/or Groestl – which makes it harder for individual miners to amass mining hardware and hash power. Another benefit of DigiByte is fast transaction times, which is achieved by the use of the DigiSpeed protocol. The protocol allows the DigiByte blockchain to decrease block timing gradually. Initially, DigiByte started with 30 second block times in 2014. Today it’s about 15 seconds. The decrease allows for faster confirmation speeds. DigiByte’s multi-algo approach is also supposed to keep fees low. Block difficulty is re-adjusted every 15 seconds as opposed to between every block on the chain. As of a few months ago, the DigiByte fee was about 0.0001 DGB per transaction of 100,000 DGB sent. Lack of scalability is a huge issues for blockchains – and one of the main criticisms of Ethereum, for example. DigiByte aims to solve this issue using is DigiSpeed protocol, which decreases block times and increases block sizes. DigiByte’s multi-algo approach ensures that each algorithm is only allowed to mine about 20% of all new blocks. Additionally, DigiByte uses a proof of work (PoW) model where all transactional activities are stored on an immutable public ledger world-wide. So not only is mining decentralized but transaction are widely distributed over 210,000 nodes. As mentioned in the beginning, Digitbyte can host Dapps – and there are currently a variety of Dapps being built on the platform. One example is an augmented reality dating app for iOS called Loly. DigiByte has been around for 5 years and, unlike Bitcoin and Litecoin, many people had never heard of it. It needs more acceptance/buzz and would benefit from increased marketing efforts. DigiByte was lauched without an ICO аnd wіth lіttlе fаnfаrе which could explain its low popularity. Many investors are of the opinion that DigiByte has no real use case advantage over its more popular competitors in the crypto space. 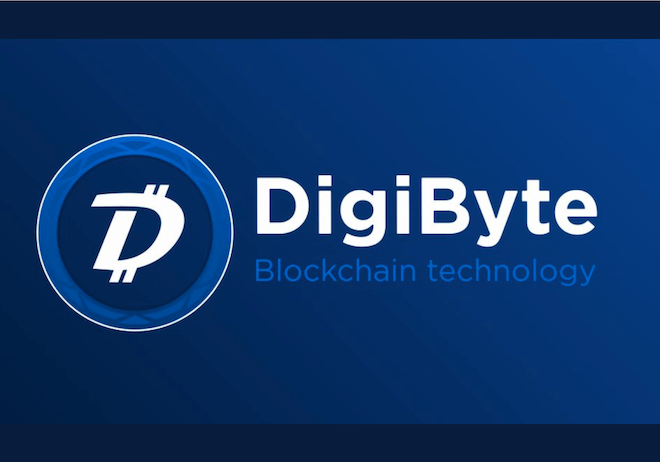 The funds in DGB are stored in the official DigiByte wallet available on their website. It requires to run a full node and store the DigiByte blockchain. This requirement adds a hurdle for first time users. Overall, I’m neutral on this project. Off the bat, I don’t see any major flaws with it, but I’m also not sold on its merit over other coins. The multi-algo approach seems like an innovative way to ensure decentralization since only 20% of blocks can be mined under each algorithm. It’s reassuring that DigiByte can’t be taken over by ASIC miners, like Bitcoin has been. However, DigiByte has been in existence for about 5 years and I’m just now hearing about it. Why doesn’t this coin have more hype or a more vocal community? Coins need more marketing and PR to break all of the noise and get adoption. How can DigiByte improve? By better marketing! They never had an ICO so they missed a huge opportunity to get the word out. Right now, I’m not interested in investing in this DigiByte since I don’t think the price will move much in the near future. But I will keep it an eye on it for the future since it’s technology seems sound.